NeUsed Closet is a resale store that accepts gently used clothes, shoes, kitchenware and furniture. 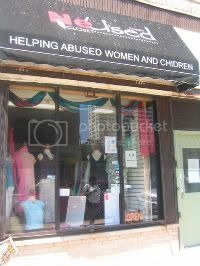 This store is a program that is part of Apna Ghar, a domestic violence shelter that serves asian women and children. NeUsed closet offers ethnic and Western apparel for women and children. Donations are accepted!